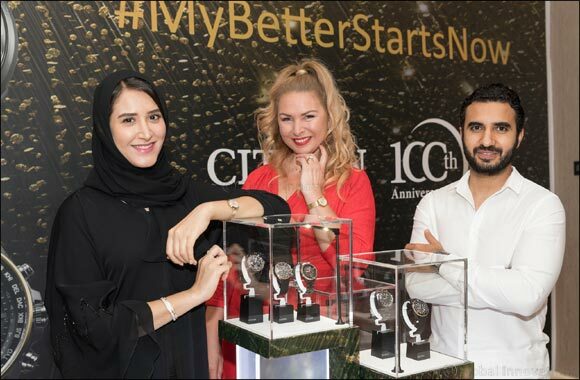 Dubai, United Arab Emirates (January 13, 2019) - CITIZEN Watches has launched a recruitment drive to unearth the UAE’s most inspirational and philanthropic individuals, and has employed the help of four UAE influencers, each of whom have become model citizens through their own pursuit of self- improvement. The Japanese watch manufacturer, which has just celebrated its one hundredth year anniversary, is inviting people from 18 to 80 to nominate themselves, a fried or a loved one as part of its “Better Starts Now” campaign, a philosophy which underpins the company’s reputation as a serial innovator of time piece technology. CITIZEN is hoping to find an unsung hero from the public who has a positive story to tell in a similar vein to its #MyBetterStartsNow influencers who represent different cultures and backgrounds, but who all share a similar tale of self-improvement and life-changing aspiration that has effected positive change. They include, Atlantic rowing record breaker, Katie Pattison Hart; Reem Al Marzouqi, inventor of a unique car for the people of determination, Diaa Alaam, a calligraphy artist who has become a custodian of the Arabic calligraphy, and Simerjeet Singh, a global motivational speaker and performance coach. Each influencer is encouraging entries through their social channels.